ASEAN-Russia relations have expanded significantly since ties were established in 1991 and upgraded to full dialogue partnership in 1996. The cooperation over the years has contributed to a closer partnership, a common vision on many global issues and a mutual interest in the promotion of peace, stability and prosperity in the Asia-Pacific region. 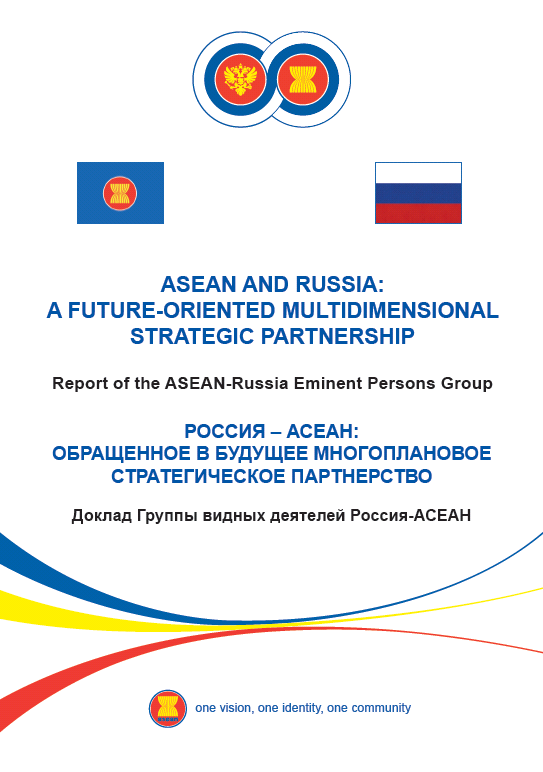 To explore ways to enhance the relationship, the ASEAN-Russian Ministerial Meeting on 5 August 2015 established an ASEAN-Russia Eminent Persons Group (AREPG) to propose recommendations to move this Partnership forward. The AREPG conducted its discussions over four months from January 2016.